We interviewed lawyer-turned-consultant Allison C. Shields of Legal Ease Consulting to get her advice on finding the best office space for your firm. Allison C. Shields, Esq., is president of Legal Ease Consulting, Inc.. Legal Ease Consulting is an organization aimed at helping lawyers create more productive, profitable and enjoyable practices. We reached out to Allison to learn how office space plays a role in the life of a law firm. As a former practicing lawyer, Allison knows how the right office space can make all the difference for a firm, so follow the conversation and use her answers to benefit your practice. What should lawyers look for when shopping for office space? Not all lawyers have the same needs, and they must keep this in mind when shopping for office space. Needs may differ based on the lawyer’s working habits, practice area or the kinds of clients the lawyer services. For example, a lawyer who rarely meets his clients in person will need a different office space than the lawyer who frequently has in person consultations. Also, there are several other things you need to ask before making a decision about your firm’s office space. Does your space need to attract walk-in business? 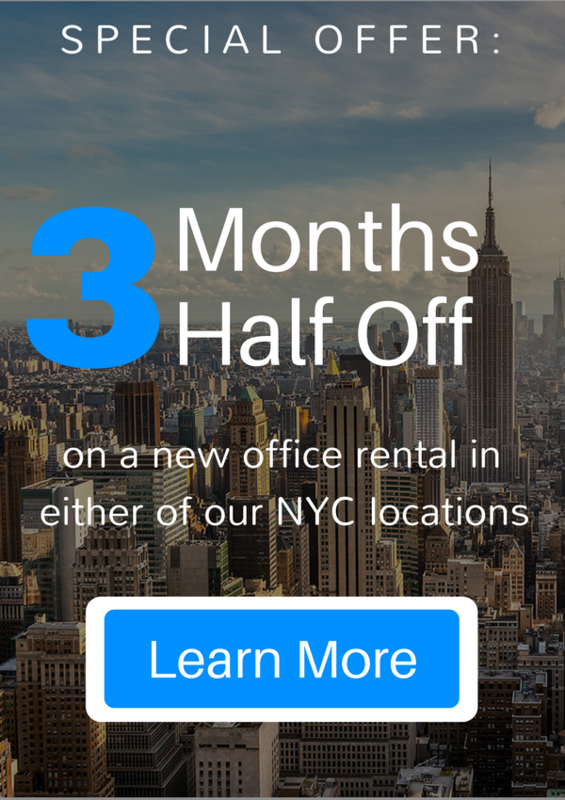 Do you need a full-time office or only an on-demand office space? Is there conference space available? How much demand is there for that conference space? Do you need immediate availability (if a client calls and needs to meet with you right away, will there be meeting space available)? Are you planning for growth? If so, will your office space be able to grow with you? Is the office look and feel in line with your brand identity? Do the fees and costs fit into your budget and financial goals? What kind of environment promotes your best work? Is it a busy, collaborative environment, or do you require more privacy, peace, and quiet? Consider how your workspace will affect your productivity and how you feel about your work. Is it worth stretching for a particular space? Will that motivate you to work harder or to attract a different clientele? Regardless of your office, you still have to think about the impression it will leave with your clients and referral sources. But the most important thing to consider when searching for office space is client confidentiality. You want to make sure any space where you are meeting or speaking with clients will be private and secure in order to preserve attorney- client privilege. What are some options and advice for self-employed lawyers when it comes to finding office space? Self-employed lawyers have several options when it comes to finding office space. Most attorneys will lease their office space. These leases can range from renting an individual office space and shared working spaces to subleasing from law firms or other professionals. Shared working spaces can vary from executive suites with dedicated office space and conference rooms, to “virtual” or “on-demand” offices that provide mail services and office or conference space as needed – often hourly or daily. Some executive suites provide offices with shared reception services, internet access, copiers, scanners, kitchen access, file storage and other amenities. Presentation equipment such as projectors and screens may even be available for client meetings or presentations. So when visiting a space like this, you will want to obtain a full list of all services and amenities provided, and which come at an additional cost. Lastly, before signing a lease in a shared space, see what other kinds of professionals are renting there. Determine whether or not those professionals can provide viable referral opportunities. You may wish to seek out a shared working space or executive suite that caters to lawyers and other related professionals. Why is having an office outside of the home a good idea for self-employed lawyers? Some lawyers can work very well from home on a full-time basis, but even for the most self-motivated lawyer, it is a challenge. Working from home can reinforce bad habits, encourage you to work in your pajamas, and treat your practice more like a hobby than a business. At home, there are many distractions, even if you have a separate office space within the house. It can be tempting to do household chores or get distracted by children, spouses or pets. Working from home won’t work unless you have a good support system and people who respect your work time. In addition, when there’s no division between work and home it can be difficult to transition from one to the other. Working outside of the home promotes a different mindset. It forces you to get up, dress professionally, and get moving. This makes you take your practice more seriously, even when no client meetings are scheduled, which can be mentally and emotionally energizing and satisfying. What are the benefits of shared office space for self-employed lawyers? Shared office space can provide self-employed lawyers with some of the same advantages enjoyed by lawyers in larger firms. Shared office spaces often help lawyers afford an office in a better location, with more amenities than if they were to rent on their own. But even more importantly, shared office space provides opportunities to share ideas with other attorneys, refer business to one another, cross-promote their practices, network and much more. Law Firm Suites is the leading NYC shared office space for solo attorneys and small law firms. At Law Firm Suites, attorneys get headache free sublet office space, virtual office rentals and litigation hotel services. Law Firm Suites has two locations in Manhattan, one in White Plains NY, and one in Annapolis MD. Law Firm Suites' community of self-employed lawyers are eager to help colleagues succeed, and routinely exchange over $2.5 million in legal business every year in each LFS business center. Connect with Law Firm Suites on Twitter and Google+. Should Attorneys Charge a Consultation Fee?